The good people at Canadian Tire want to give one of you a Yardwords Lawn Vacuum. They tell me this thing retails for $199.99 in Canadian Tire stores. Last time we did this with a grass trimmer, Rob S. was randomly selected from the comments and shipped the trimmer / edger for his Dad. This time, the winner could be you. To win this Yardworks Lawn Vacuum, you just have to leave a comment telling me one other site you frequent on a regular basis. Everyone who leaves a comment will be entered in a random draw. Please leave your email address in the Email Address field (it won't get published on the site) so I can secure your mailing address should you win. Canadian Tire will only ship the prize to addresses in Canada or the United States. I'll pick the winner on November 5. Here's the marketing spiel about the lawn vacuum. Your outdoor vaccum! Just plug it in and let its powerful suction quickly sweep your carpet of leaves. Sure to be a favourite amongst the right wing crowd. As usual above post is mine. What a sweet vacuum!I need to vacuum up my leaves! Ok, my url didn't show up the first time. This is a cool blog from a Toronto photographer. Sorry, forgot to put in my email addy. you will see stuff on here days before the mainstream media picks it up! IT WILL be like a trip to the future! I would say Youtube.com or tsn.ca on a regular basis. If you want to know some of the story behind your favourite songs, check it out. A free sucker! I'm all for that. I'm addicted to Wikipedia. This is good timing. I was just talking to my wife about getting on eof these last night. One website I visit on a regular bases is Canadian Thinker - formerly FreddieP.ca. A website I frequent for a cheap laugh at others expense is FailBlog.org. Been doing a crapload of raking the last week too! I'm always on reddit.com . See you there. If it picks up rain, I'm in - if it is just leaves, wrong province for me and good luck to all. tsn.ca so I can keep track of the many losses from all the Toronto teams. Hook a brother up! Literally. My mother in-law could really use this, my lawn is huge and well forested. I should stop that. I always get depressed shortly after reading a few articles. Just for Springer like fun. Nice... got a few good referrals to other interesting sites from above. I get a kick of xkcd.com.... geek humour. I visit http://www.autoblog.com/ daily! You can never get bored of cars. Mainly for film festy fun-ness. Well this one Toronto Mike and also Canadian Tire..along with of course Freddie P..just to name a few. Ya, I know it's McCown, but I can tune out all the hockey, baskeball b.s. from FAN 590. and listen to what is relevent to me, albeit a day later. Terrible being a ball fan in this hockey puck country. I regularly check out Canadian Thinker, More Mo (Maureen Holloway's blog www.moremo.ca), www.theglobeandmail.com (for the Facts & Arguments section),www.howardstern.com and your site. HTTP 500 error made that happen. I am on www.freddiep.ca just about every day. Could use this bad, have 2 large lawns to rake & bag this year, this would save me a ton of time! Need a vacuum to pickup the other pretend leaves. I live in a forest. Help me, for the love of God... somebody save me. I'm leafing alive. The website http://www.foundshit.com/ usually has some cool pics. A website I frequent is deadspin.com . I live in a friggin' forest... 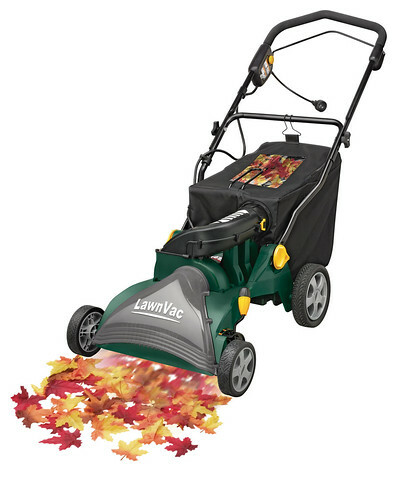 Leaf vacuum would rule! This product may be worth the price if it was for FREE! Hope you have a yard with only a few leaves otherwise you might as well blow them on your hands and knees....much faster!! Lots of fine-tooning needed with this one!! Free..? ?..send one my way!? Sent it my way if it is FREE??? I have been dreaming of one of these. How sad is that? Everyday I check out CBC.ca for the latest. Do we have a better 'random' chance if we say your site? I go to http://www.zdnet.com/?tag=nav;thm for my technology fix every day. I check out TSC.ca on a daily basis. Would love to get a second Yardworks Lawn Vac as we have a large property surrounded by woods and the unit we purchased earlier this year is quite simply the best! One pass and you're done...we couldn't ask for more or be any happier with the results. Love visiting the websites mentioned above. I'm a born and raised western Canadian, even though I have lived in the Toronto area for the majority of my life. As I looked out my front bedroom/home office window this year, I marvelled at how nice my red maple tree grew this year, despite what most people called a lousy summer. Right now, I'm trying to not look down at the ground to see just how many leaves are on the ground from it. i bought one of these 2 years ago and a wheel fell off 1/3 into doing my yard ( weld on bracket holding wheel did not hold) i had it for just 2 days and took in back to the Canadian tire store where i bought it and was told all i could get was an in store credit. if you want junk likethis buy from Walmart at least you get your money back if you return it. I bought this on Kijiji, no manual, no parts info, do you know where I could get a manual? I'm sorry, but I can't help you. I didn't actually get one, it was sent directly to the contest winner by Canadian Tire.